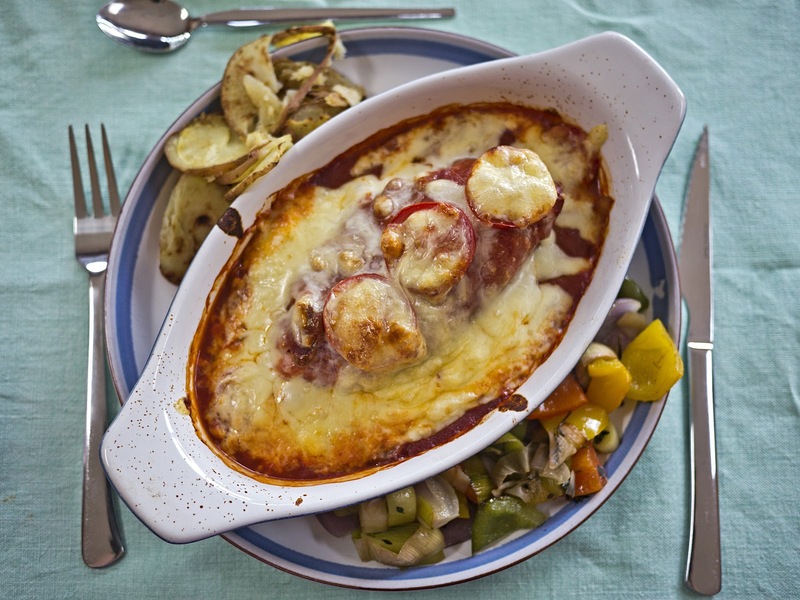 I always struggle to think of what to make when my dad comes round, but this lovely dish of chicken breasts wrapped in bacon, smothered in smoky BBQ sauce and topped with cheese is a favourite of all three of us. I always add some fried onion in the bottom of the dish to increase the amount of superfree. Using the back of a knife, stretch the bacon slices to make them thinner and longer. Wrap the chicken breasts in the bacon. Bake at 220°C for 20 minutes. Meanwhile make the BBQ sauce: heat the passata in a saucepan and add the paprika, mustard, Worcestershire sauce, sweetener, vinegar and bouillon powder. Bring to boiling point. Taste and adjust seasoning if necessary. Sauté the onion in Fry Light until soft. 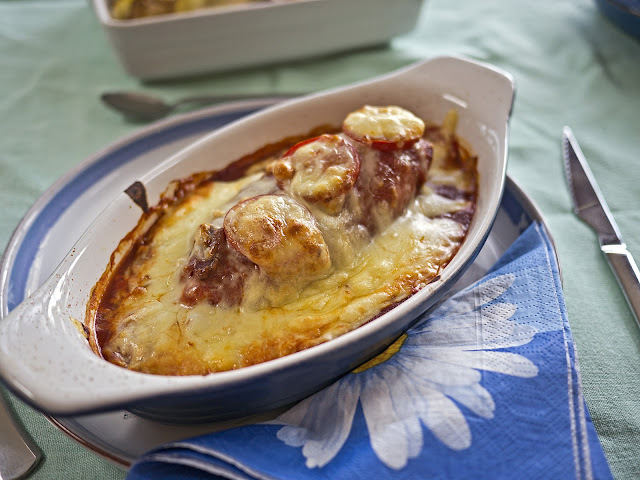 Divide between three individual oven-proof dishes, and place a chicken breasts on top, then the sliced tomatoes. Spoon over the BBQ sauce and finish with the grated cheese. Bake in the oven for ten minutes until the cheese is bubbling and brown and the chicken is cooked through. Serve with accompaniments of your choice.